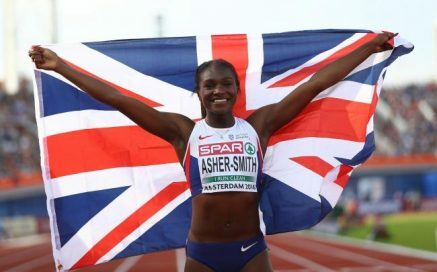 7th July 2016 – Dina Asher-Smith (GBR) claimed her first international senior title as she took gold in the 200m at the European Championships in Amsterdam. Dina flew out of the blocks and ran hard round the bend to enter the home straight 4 metres clear of her main rival Ivet Lalova-Collio. Maintaining her speed and form Dina crossed the line a clear winner in a seasons best time of 22.37 seconds. Dina is the first British woman to win the European 200m title and now has her focus fully set on the Rio Olympics. Earlier in the session both Rhys Williams (GBR) and Christine Ohuruogu (GBR) were automatic qualifiers for their 400m hurdles and 400m finals.